Can you think of anything more beautiful than a woman realizing —in a flash of reality— that she is going to be a mom? You are part of this beauty. Every day, you make it possible for women to catch glimpses of their unborn babies. And today you have the opportunity to save twice the lives you normally do. Why? Because this year is special. 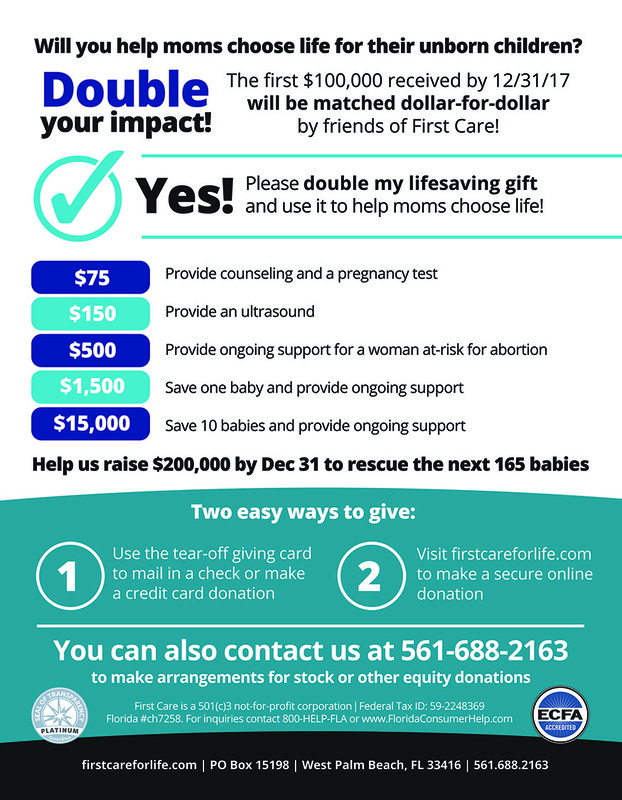 This year your gift is going to be doubled by some very dear friends of First Care. Every gift given toward our year-end appeal will be matched up to a total of $100,000! Your gift to save 1 life becomes a gift to save 2. P.S. Please make your gift before December 31st, 2017 so you can double your impact!